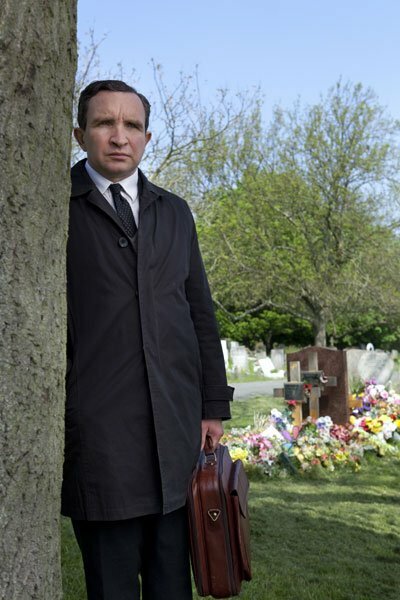 John May (Eddie Marsan) is a council worker with a particularly important job; to find any living relatives of solitary deceased people in the borough and, if unsuccessful, arrange the funeral and burial or cremation of these people. John takes great pride in his work, writing eulogies for strangers, basing his words on objects and photographs found in the deceased’s home, and often being the only person to attend the funeral. A solitary figure himself, John has become attached to his job, keeping memories of the people in an immaculate photo album. A creature of habit, all he seems to eat is a can of tuna, a slice of white bread and an apple, and his desk and home are sparse and precise, displaying his OCD personality. So, when the council cut their budget and a merge takes place, John is the one to go, due to his slow work pace and costly funerals. His last case is that of Bill Stokes, a drunken ex-offender who it seems may have a daughter. Using his own money, John puts his all into his final case and begins to realise there may be far more to life than he was letting himself realise. 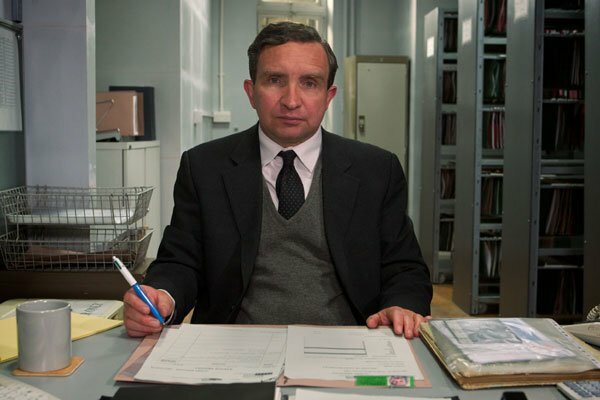 Eddie Marsan is such a diverse actor and has really proven himself in recent years, be it as the creepy driving instructor in Mike Leigh’s Happy-Go-Lucky (2008) or as a grieving father in the brilliant television series Southcliffe (2013). With his unique appearance, he often plays characters with a dark side bubbling under the surface, but here he brings such a soft and endearing quality to John May it is almost heart-breaking. His face carries so much emotion that we are immediately empathetic towards him. Unfortunately, writer and director Uberto Pasolini (Producer of The Full Monty perhaps his biggest claim to fame) chooses to induce far too much sentimentality towards the end of the film and the path of the character is one he shouldn’t have chosen. However, Marsan’s performance and the majority of the film are spellbindingly beautiful and tender and really deserve credit. It is both poignant and amusing and I really cannot think of another actor who would have played this character any better. Joanne Froggatt is also great as Stokes’ estranged daughter and Andrew Buchan (Mark Latimer in Broadchurch) as the council manager is suitably grating. Visually the film echoes the main protagonist, with starkness and a static camera. Nice shots of the residential block that May lives in bring a beauty to the ordinary which perfectly summates this film. 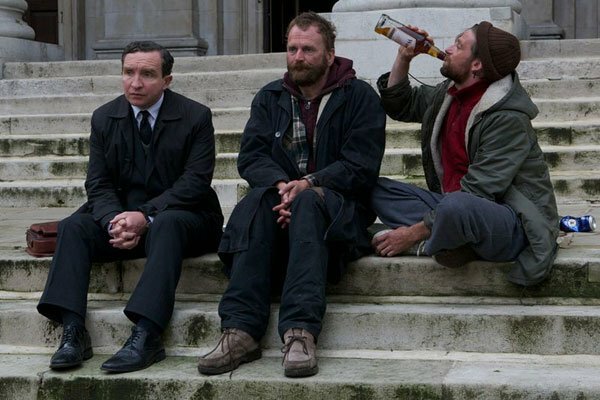 It is all about the small details and fans of subtle British dramas and Eddie Marsan will no doubt be satisfied with the result. Still Life is a subtle and compelling existential tale that revolves around the central performance by Marsan who is extremely watchable and intriguing. With the obvious themes of loneliness, family and habitual and solitary existence, there are also underlying ones of dying traditions and the redundancy of specific and personal roles in the workplace. The film gives plenty of food for thought and sits nicely with Carol Morley’s brilliant docu-drama Dreams of a Life (2011).